China, which is the world's most polluted country, is far behind India on the list. On this year's World Environment Day, let's have a look at where India stands in the list of most polluted places. As many as 13 Indian cities, including national capital Delhi, are among the top 20 most polluted ones across the globe. Vapi in Gujarat and Sukinda in Odisha are also among the top 10 most environmentally-degraded zones in the world. Besides, the Ganga and the Yamuna have also been listed among the top 10 most polluted rivers in the world. China, which has been ahead of India in several sectors, including economy, lags behind this time around. Only three Chinese cities have been named among the top 20 most polluted ones and has just one polluted river, and it is nowhere in the list of the 10 most environmentally-degraded zones across the globe, Hindustan Times reports. India and China's growth seems to have affected the environment in both the countries. While China stands first in carbon emission across the world, India maintains the third position. Why India has more number of polluted cities than China? China is way ahead of India in managing the impact of furiously growing economy, which affected its rivers and air. However, over the time, China managed to clean several of its polluted rivers and controlled air pollution by imposing strict rules. "Beijing's air pollution has dipped 40 per cent since 2000 as we have taken steps to phase out polluting vehicles and put checks on building heating systems," Beijing municipal officer Li Kunsheng had said at an event in Delhi earlier this year. While China managed to bring down the pollution level in its national capital, India failed to even control the rapidly growing air pollution, which in Delhi has risen by 20 percent since 2000. And the environment activists believe that this is going to get worse if government doesn't act immediately. "In India, environment degradation is a runaway problem impinging on public health an exacerbating poverty... We need to act and act fast ... otherwise the health cost would be enormous," Delhi-based NGO's director general Sunita Narain said. In the 290 rivers across India, water in 66 percent of the stretches has high amounts of organic pollution, making it unfit for aquatic life. 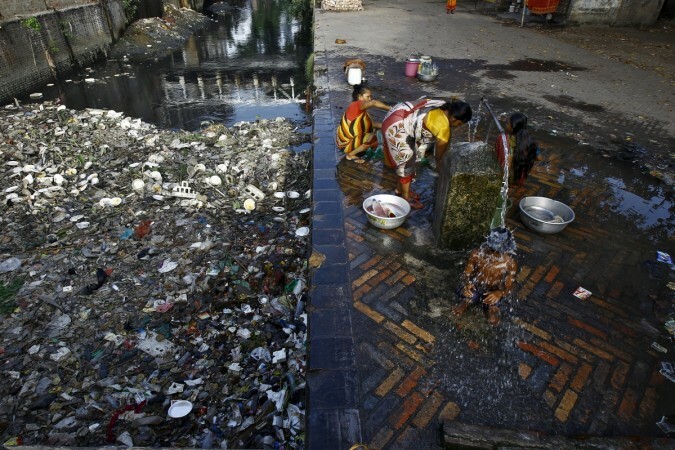 "Increasing flow of untreated waste water from cities into these rivers is the reason for our rivers getting polluted," Central Pollution Control Board chairman and special secretary in the environment ministry Shashi Shekhar said. Among all the polluted cities in India, there's one where people can still breathe clean air, Coimbatore in Tamil Nadu, while there are others who are trying to change the situation of the country. The cities that are working towards providing better environment conditions are Bengaluru, Gujarat and Kolkata. Union Environment Minister Prakash Javadekar is also bringing up policies such as "development without destruction" and system to focus on "self-regulation" and strengthen the "polluter-pay principle" by imposing heavy penalty on those violating environmental laws.